IBM Forum for Financial Services: Client Insight for the Cognitive Era. Join IBM as we bring together cognitive, cloud, clients and cocktails during the IBM Forum for Financial Services, on September 20th at the Andaz Hotel in the heart of the NYC financial district. Hear from financial services industry leaders -- including John Hershberger, chief data and analytics officer from USAA -- who are already leveraging behavior-based client insight to dynamically segment customers and transform their business. 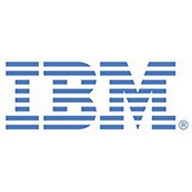 Network with peers, meet with IBM industry leaders, and see first-hand the power of creating personalized client connections! Be part of the congregation of customers and thought leaders from across banking, wealth management and insurance, and learn how new cognitive thinking can help unlock the potential in your data to create meaningful client interactions.